Simple customer benefit schemes – learning from outside the arts? The Wiggle ‘Platinum’ scheme is automatically offered to anyone who has spent over a specific amount of money within a specific period (more than £500 in the previous 365 days – that Platinum status is then activated for 365 days from the day when you meet the threshold and is maintained if you spend more than £500 during the subsequent 365 days). I needed to get a few bits anyway so I promptly went and spent £80 on new cycling and running stuff and lo my discount is secured for another year. 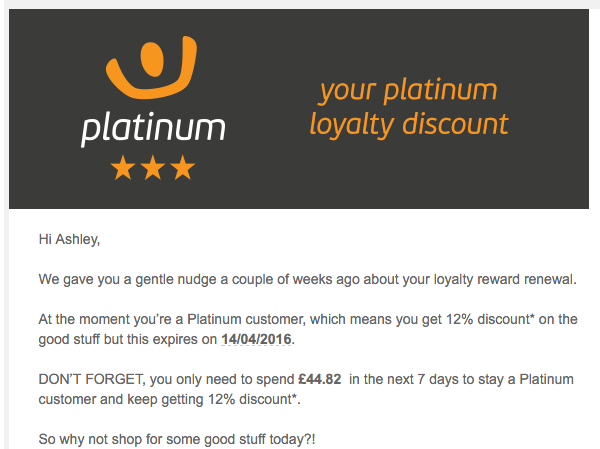 This seems like a relatively straight-forward and easy-to-administrate way of encouraging customer loyalty and incentivise people to spend more whilst also giving an obvious benefit to customers. It got me thinking about the various loyalty/membership/multibuy/etc schemes I’ve seen in the arts sector, which always seem fantastically complicated. I don’t think I’ve ever seen anything that has been as simple to explain (the benefit, the criteria, the everything) as this example from Wiggle, whilst I understand that there will always be arts audiences who want priority booking and all the other benefits that usually come with being a Friend (or whatever the membership scheme is called) why isn’t anyone trying something ‘simple’ like this? It seems to be a straightforward way of trying to get people to spend more without all the extra complexities of a multibuy scheme or membership structure. People won’t always want to spend a load of money in one go (which is what multibuys often require) and not everyone wants the faff of joining a membership scheme (if all they want is a discount this seems like overkill). It seems like there’d be numerous benefits for venues, you’d reasonably expect it to trigger an increase in some people’s spend (to meet the threshold) then once that threshold had been met you might also reasonably expect those people to try events they may not have otherwise considered (thanks to the discount). I may simply be unaware that people are already doing this? Are there any venues that say ‘once you spend £x within a certain period we will offer you % discount for the following number of days’? Equally I may be blissfully unaware of the 100s of perfectly valid reasons why this would never work. Either way, I’d be interested in hearing what people more qualified than I think about this. I went to a thing for work (Directors UK) organised by the Westminster Media Forum which discussed “TV and the second screen: social media, innovation and regulation“. It was the closest I feel I have ever come to what might be described as “lobbying”, which was a bit weird. I tweeted so much my phone died, I’ve embedded the Storify we did for work below which filters out (most of) the crap and focuses on the director-relevant stuff. 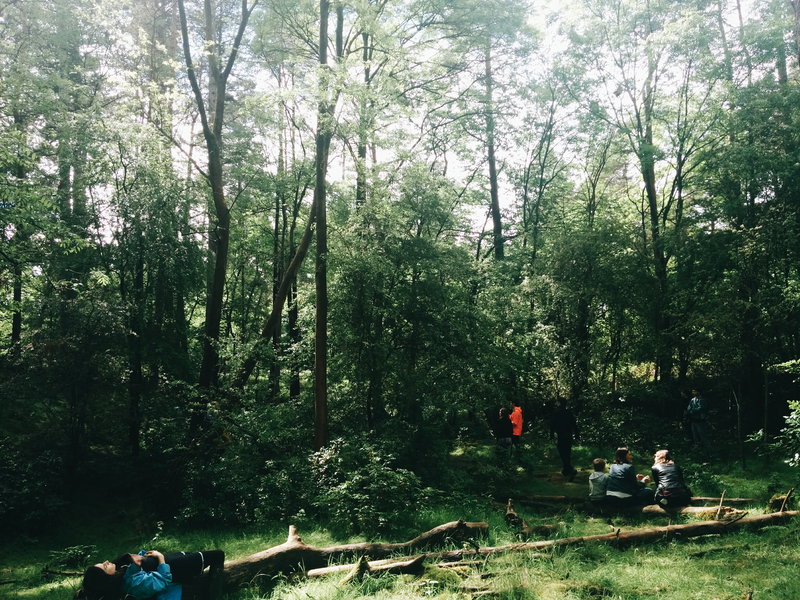 Last Saturday I went to see/hear/whatever a sound/music-installation in forest. It is all a bit too complicated too explain properly (I can’t do it justice) but essentially a weather station and computer model generate a constantly-evolving musical soundscape that’s comprised of thousands of fragments of music that were composed to represent the flora and fauna in the area of the forest where the installation is…installed. All of this is then played back through a 24-speaker system which has speakers hidden in logs, buried under moss and strung up in trees. The experience was incredible, beautiful and actually (for once the word isn’t misused) completely immersive. As I walked into the area where the installation was, I was totally enveloped in a wash of strings and percussion, when I say enveloped I mean that the sound seemed to rise from the ground behind me, travel up and over me and disappear off into the distance, like a flock of birds…or something. 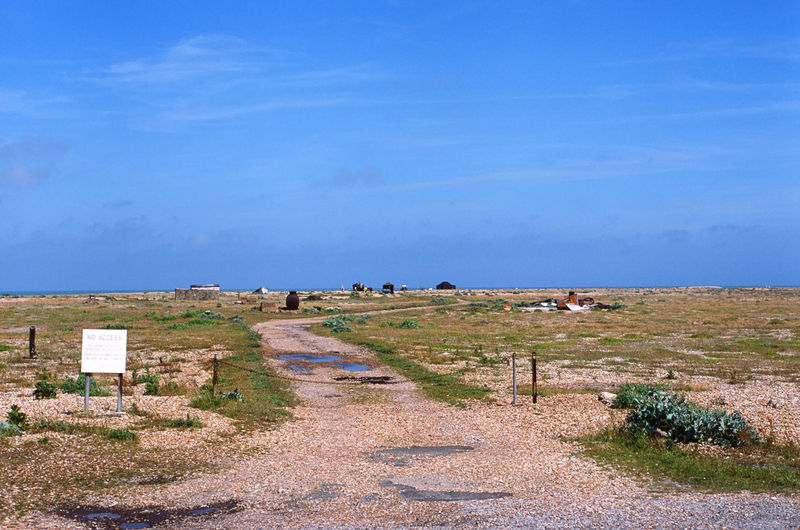 The installation is called Living Symphonies, you can find a proper explanation of it here http://www.livingsymphonies.com/about, it’s the result of a collaboration between James Bulley and Daniel Jones and it is – in my opinion – a flawlessly realised concept. I was totally blown away, rarely do installations fully deliver on the promise of their grand ideas, this was totally successful. http://www.spiked-online.com/newsite/article/technology_in_museums_less_is_more/14433#.UtUgzvRdV8G – Technology in museums – less is more! – I don’t really agree with this article but it makes an important argument…one that my mum often makes. Some people simply don’t like, or feel comfortable, around technology. This needs to be recognised and addressed in some way. http://www.thesambarnes.com/web-project-management/web-project-management-and-collaboration-using-github – Web project management and collaboration using Github – definitely worth a read. http://www.newfangled.com/the_way_you_design_web_content_is_about_to_change – The way you design web content is about to change – One of those all-too-frequent “this will change your life” posts that you see doing the rounds but I think this one in particular makes some worthwhile points. A fuller blog post is in the works on this one: Arts Council England, the Arts and Humanities Research Council and Nesta have commissioned independent research agency MTM to track the use of digital technology by arts and cultural organisations in England between 2013 and 2015. Results are now available from the first year survey of 891 arts and cultural organisations, including digital activities, barriers, enablers and impacts. Now, you can’t see the actual results online so I can’t say how good or bad the execution is but the idea itself is really neat. Want a big, beautiful, one-page, scrolling website? Here you go. Really interesting read from Matt Locke in the evolution of the relationship between audience and performance, and attention. From music halls through to tv, cinema and now digital platforms. I realise I haven’t written anything useful for ages, and I’m not about to break that run now. I had intended these to be far more regular than this, must try harder. A mixture of tips/tools/reviews/articles that you’ll hopefully find useful, I did. Right, I’ve realised that I spend a lot of time reading ‘interesting stuff’ and thought it might be useful if I share some of the best things here on a semi-regular basis. Wow, how’s that for a snappy blog title! Ok, I realise it sounds slightly dull but utilising RSS feeds can be a useful and relatively straight-forward way to include dynamic information within a site. I’ve searched far and wide for various RSS integration tools and my favourite is by far and away a RSS parsing class written in php called Simplepie (http://simplepie.org/). Although this hasn’t been developed since version 1.2 was released in 2009 it remains the most straightforward and robust solution I’ve found. Once you’ve downloaded and included the simplepie.inc file it’s so simple (excuse the pun) to use (here is a very good tutorial on how to set up a simple page featuring one feed). If you want to include multiple feeds there is some helpful info here. But this is the best solution I’ve found to this particular problem – if you’ve got other solutions then please recommend! I’m currently working on a new site for a client who requires a CMS. After a fair amount of research and based on my own experiences they decided that WordPress fitted the bill. So I needed to develop a bespoke theme for them.